Prototype Machining Is A Quick Way To Build A Model Of Your Invention. Prototype machining is one of the oldest forms of making prototypes. Various forms of machining have been done for hundreds of years and this is still a great technique for building invention models. Machining is a subtractive process, meaning that you start with a block of material and then remove the material that is not required for the part your are making. Consider it like sculpting where rock is chipped away until a master piece is revealed. There are many machining processes including cutting, drilling, turning, milling and grinding. An example of a machined prototype is below. This prototype was made out of materials that were lying around from other projects. This is the first generation of a toy paintball gun and a good example of a crude prototype. It is definitely NOT PRETTY, but that is not the point. The main job of this prototype was to prove that the invention worked. Crude prototypes are for testing proof of concept. Machining can also be used to create beautiful and realistic looking models. Although not as common in the US due to rapid prototyping processes, in China machining is the main form of creating models. Get My 10 Best Inventor Tips Now! We have an invention and need help. 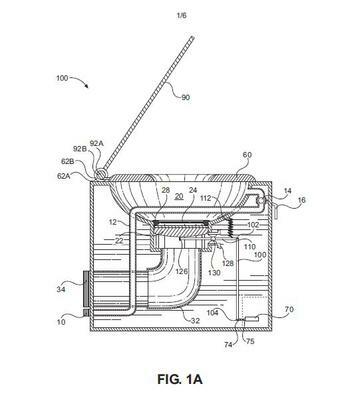 The invention is a hygienic toilet providing washing/drying of the user. It is NOT simply a combination toilet/bidet.